CV10, CV17 and CV13 HIT! War: Her Last. My First. This site is for crew members to share stories from any era and to ensure the stories and their discussions are saved in perpetuity. The stories are open to the public in the left menu and visitors are welcome to join the site in order to discuss the stories in the forum - Story Discussions*. 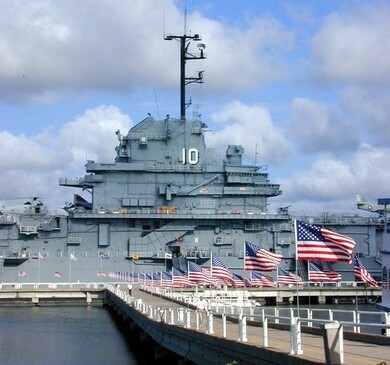 We hope you'll not only enjoy the site, but will use it to remember the men and history of the USS Yorktown CV-10. * Please note that all stories and discussion comments may be read by family, friends and visitors of all ages. The men and administrators of the site request that everyone remember this when writing. The administrators of the site reserve the right to edit, hide or remove anything that is not appropriate for all to read. Yes, you can visit the CV-10 and learn about the ship, her crew and actions. Read more at Patriots Point - the Home of the USS Yorktown. Welcome and Join the discussion! Your privacy is important to us, therefore your contact information will not be made available to anyone. We do not allow outside advertising and are not affiliated with for-profit sites. Should you send a private message to another member on the site, the member will receive an email notifying them of your message. Your private email address is not shown to the other member. It is a great way to communicate with your privacy intact.